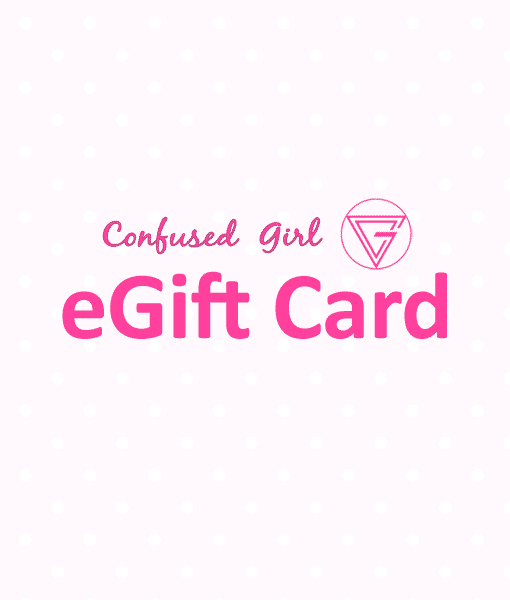 What is a Confused Girl eGift Card? An eGift Card from Confused Girl is the perfect gift for the yogi and crystal lover in your life. You simply choose the amount you would like to give and the recipient can redeem it for merchandise of their choice worth an equal or lesser value. How do I redeem my Confused Girl eGift Card? During the checkout process, you can select and enter your gift card information. If the gift card balance does not cover the full amount, please add credit card information to complete the transaction. Do I need to pay shipping charges for my Confused Girl eGift Card? There are no shipping fees for Confused Girl eGift Cards. Does Confused Girl offer physical gift cards? Unfortunately at this time, Confused Girl does not offer physical gift cards.